OPINION – The role that therapeutic massage plays as a choice for your health and wellness goals has been changing greatly in the past few decades. Massage therapists are overcoming the narrow classification of the spa “feel-good” image and building a greater role in sports medicine, injury rehabilitation, alternative health and posture and movement correction, just to name a few. Research has shown that regular massages can have a positive effect on reducing blood pressure, building the immune system, reducing pain and improving sleep patterns. 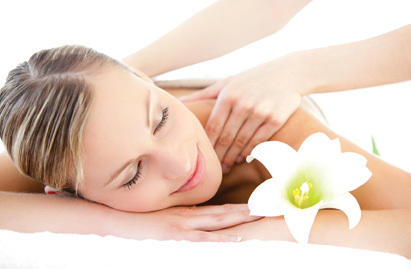 As more people are taking charge of their wellness, massage is becoming a popular and beneficial choice. The most frequent question new clients often ask is: “How often should I get a massage?” The answer is different for each person, just as each massage is customized for each person’s needs. The rule of thumb is everyone would benefit from at least a monthly massage; however, individual circumstances cause us to assess the need for frequency from this mid-line. One example that would cause the need for more frequent massages is overcoming chronic pain. Initially, to relieve chronic pain, changes need to be made in the actual structure of the tissue, along with coaching to improve or overcome bad habits that may be part of the source of pain. If the chronic pain is from an injury, it may be necessary for the therapist to work to break up scar tissue and increase range of motion. This often requires an aggressive approach and too much time between sessions allows the tissue to reset itself back into the negative pattern. This is not a long, drawn-out process. As the massage client makes headway, the frequency can be gradually reduced. It is important to find the cause of the pain, rather than just addressing the symptoms. Successful tracking of the source of the problem, results and relief happen quickly. Another reason for increased frequency of massage therapy would be to enhance sports performance. When people are serious about their activities, they hit the practice field or the gym frequently. Massages before an event or game can increase metabolism, which helps the athlete peak at the right time. It also reduces the likelihood of injury and shortens recovery time. Since ancient times, athletes have gotten “rub downs” as part of their training. Bob Hope received daily massages, and he attributed reaching the age of 100 to this. What many people don’t know (and you can Google this) is that before Hope became known on the stage and screen, he was a boxer. He was famous for his ski-nose profile, which was likely the result of a left hook. His boxing was done under the name “Packy East.” Luckily for everyone, he wasn’t very good at boxing and went on to excel in comedy and become an icon of the 20th century. As people age, their metabolism slows down. Most don’t remain as physically active as they did in their youth. The lymphatic system, which is chief in keeping our immune defenses working properly, doesn’t have a heart to pump the flow of lymph fluid. Instead, the body relies on muscle action to force the lymph through, which collects the toxins that are naturally produced throughout the body and transfers them to the lymph nodes. These deposits can enter the blood stream to be removed or processed in the liver, kidneys or lungs for elimination. Massage has been proven to help with the flow of the lymphatic fluid. One example of someone receiving regular massages is a woman who works in a preschool environment. Every day, she is face-to-face with 4-year-olds with runny noses. She takes no supplements or medicine, but has not gotten sick in years. She does not exercise because of physical limitations, and yet she is at work every day. Other members of the staff, some of whom are more than half her age, seem to catch every flu bug or virus that goes around each year. Human beings are wired for touch. Healthful, therapeutic touch not only increases blood flow to bring nutrients to the tissue to promote cell growth, but also releases key hormones and endorphins that speed up the healing process. We believe that the body wants to heal and wants to be in a state of health and balance (homeostasis), and that massage is an important tool for you to use to achieve that goal. Massage therapists generally love what they do and believe that massage has a useful role in keeping us healthy, which translates into a happier and more fulfilling life. Written by Michael Forrest for St. George Health & Wellness magazine and St. George News. Opinions stated are his own and may not be representative of St. George News. Over the years, Forrest was a fan of massage and bodywork. He was introduced to reflexology at age 14 and trained in Hawaiian lomilomi massage during the 1970s. He went to the Nevada School of Massage Therapy in 2005 to begin his professional career as a licensed massage therapist.